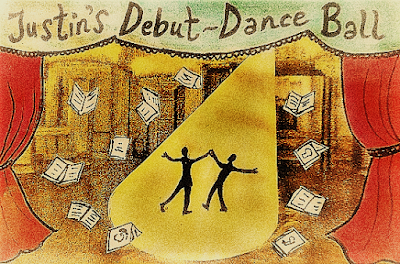 Welcome to Justin’s Debut-Dance Ball, a virtual party to celebrate SCBWI-BI members’ debut publications. This month Justin welcomes picture book author, Yasmin Finch, to his ball, and invites her to take a turn on the dance floor, whilst he asks the questions only a newly-published writer can answer! So, Yasmin, a ball isn’t a ball without music. Perhaps you’d like to choose a tune that inspires you to write, or a song that you played whilst writing your book, or simply a piece of music you love to dance to. Naughty Boy and Emeli Sandé’s Wonder is a total fave of mine. It’s the kind of song you listen to and feel like you can take on the world. Having said that when I’m writing I don’t listen to music. Ever. I find it really distracting! Many congratulations on your debut picture book, Mr Mustachio. How did it feel to hold your first book in your hands? Well, the moment that was really special was the first time I saw the whole collection of spreads on PDF that illustrator Abigail Tompkins had produced. Wow. That totally blew me away. I was on holiday in Scotland and I had to drive to a town, find a quiet car park, tether my phone to the laptop, and download them all! 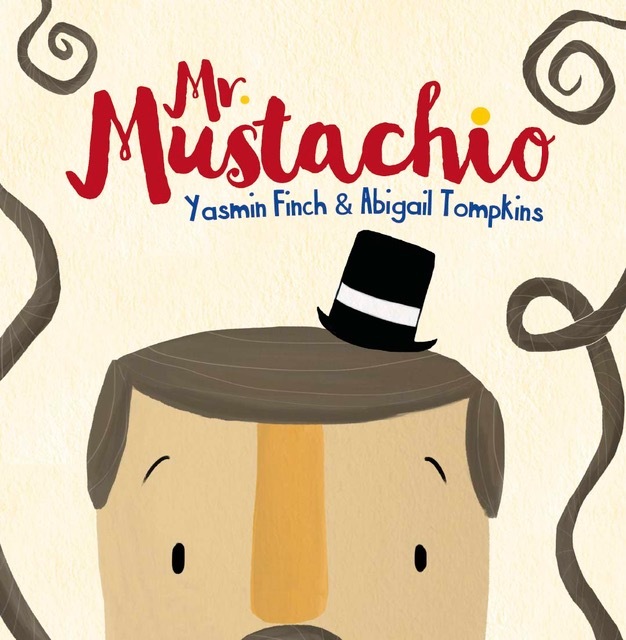 Now, every time I hold a copy of Mr Mustachio I stroke it, look at the shiny title on the cover and feel a party balloon of pride rise up in me. What were you doing when you heard about your publishing deal? How did you celebrate? I was round at my friend’s house with our preschoolers tearing up and down the stairs playing some kind of jumping/dress-up/danger game. And I did that thing when you mindlessly flick on your email on your phone. And there it was amongst my usual collection of spam, an email from Maverick. I just had to tell my friend, but then I told her she couldn’t tell anyone because it was too soon! Mr Mustachio is such a great title. Where did the idea come from? Thank you. It was a joke with my kids. When they would guzzle their milk and get a milk moustache we’d call them Mr Mustachio. One day I said it and it hit me what a great character he would make for a picture book. I ran to the laptop and he just poured out onto the page, his character, his world, and his big moustache tragedy. It was the second picture book I’d ever written. In your book, Mr Mustachio creates a moustache from a pair of stripy socks. Do you have a favourite emergency moustache? One always needs to be prepared. In an emergency a suitable moustache can always be acquired. I tend to reach for the classic twisted sheet of A4, you can get a nice flick at the ends. As you know, Words & Pictures readers are a nosy inquisitive bunch and they want to know how long it took for you to write your book. Was it a long gestation or a miracle birth? I wrote Mr Mustachio very quickly, in a couple of hours the whole character and story arc were there. But that initial draft was much too long (about 650 words) and so over the course of about 9 months I worked on it and edited it down to the 325 words it ended up as. When I write a picture book I always leave it to settle for a month or two and then return to it and then I can see all the mistakes really clearly! Tell those of us yet to be published what you’ve learned about the industry since you landed your deal. What’s it like working with an editor, for example? Were you given tight deadlines? Any disagreements you had to overcome? My editor, Kim, was wonderful. There were actually very few edits needed to the manuscript by the time Maverick acquired it. After I had submitted it to Maverick it had been a runner-up in the Greenhouse Funny Prize and I’d won some detailed feedback from agent Polly Nolan. The first meeting I had with Maverick they commented that the feel of Mr Mustachio had reminded them of Gerald Durrell’s writings, I nearly burst I was so thrilled. For those of us unfamiliar with the world of picture books, how did you team up with your illustrator, Abigail Tompkins? The publisher, Maverick Arts, was totally in control of this. 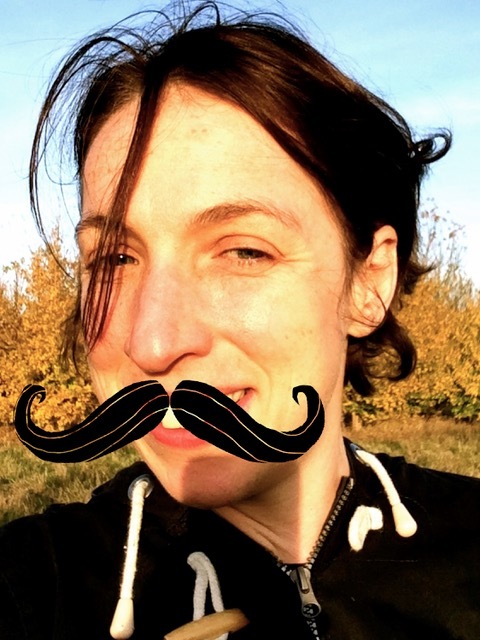 I was shown the final two options and we all agreed Abigail’s Mr Mustachio was the one. He was nothing like I’d imagined, but absolutely perfect. 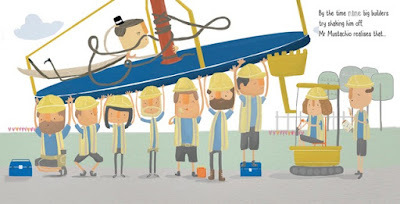 A lot of SCBWI-BI members are trying to get an agent as well as a publishing deal. Can you tell us a bit about your own experience? Do you have an agent? If so, how did you choose them and what kind of advice did they give you? I don’t have an agent. I found the Children’s Writer’s and Artist’s Yearbook an absolute gold mine of info on where to start and who to approach. 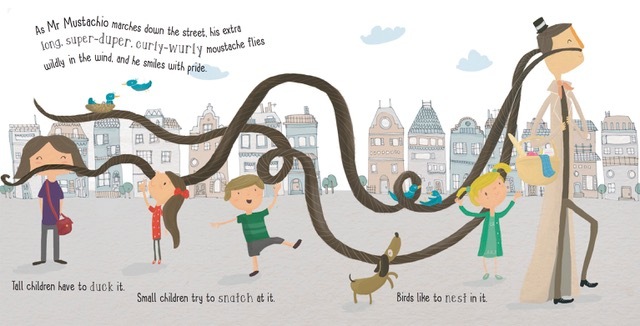 I submitted widely and have had quite a lot of interest in Mr Mustachio and other picture book manuscripts. I hope to be working with an agent soon! I know you’ve entered writing competitions in the past. How have they helped your road to publication? Now that you’re published, do you still enter competitions? How many times were you rejected before you found an agent or publisher? d) 21-50 - Probably nearer 50 than 21! g) I’ve never experienced the crushing pain, sorrow and heartbreak of rejection. Assuming you haven’t answered ‘g’, do you have any tips to share on dealing with rejection? It’s so hard. And even having a book published doesn’t insulate you from the effect it can have on you. At times I’ve felt like giving up altogether. My biggest tip would be work on having a positive mindset and go along to things, meet people, join groups. The support of friends and other writers is really important. And now, as the music fades, there’s just time for you to tell us what’s up next for Yasmin Finch, the author. Are you working on a new project? Or perhaps trying your hand at a new genre? I’m sending out lots of picture book manuscripts at the moment and I’m excited about the next step. I’m really enjoying sharing and promoting Mr Mustachio at the moment too. You can never have too many fake moustache jokes! Thank you, Yasmin, for joining me at the Debut-Dance Ball. Sorry you tripped on my moustache; next time I’ll stick it on properly. Mr Mustachio is out now, published by Maverick Arts Publishing. Yasmin Finch is a children’s author. Her first picture book Mr Mustachio was published in 2016. She started writing for children in 2014 after she finished her PhD in theology. She lives with her husband and 2 boys in Cambridgeshire, where she owns 6 acres of woodland. Justin Nevil Davies leads two distinct lives. In one, he flies around the world as cabin crew. In the other, he writes middle grade novels with the aim to make kids laugh. Sometimes, his lives converge. Then it can get messy. Justin lives with his husband in the shadows of the Forth Bridges. One day, they will have a dog. It shall be named Rufus. 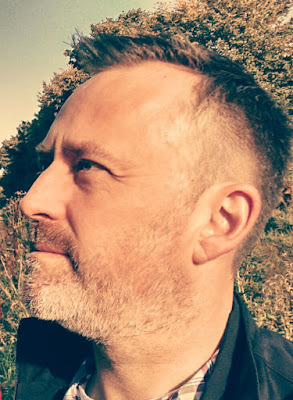 Justin is part of SCBWI South East Scotland. Fabulous interview and fabulous book. I LOVE Mr Mustachio!